Projects Abroad is celebrating its 25th anniversary in 2017. In more than two decades, the company has helped connect over 100,000 dedicated and enthusiastic volunteers with communities around the world where they can make a difference. Over the years, volunteers have worked alongside local staff and communities in 38 countries to make a sustainable impact in fields ranging from conservation to medicine to childcare. “If you ask me, did I ever dream we would send 10,000 people a year around the world, yes of course I did, but I had no idea that it was ever going to get so big,” says Peter Slowe, founder of Projects Abroad. Founded in 1992 as a part-time start-up run from his home, Peter Slowe began Projects Abroad to assist a small group of students wanting to travel and teach English in Eastern Europe. Until 1997, the organization was a small family-run business based in the UK, but with a growing interest in gap years and overseas volunteering, Projects Abroad began to set up offices and projects around the world. By the turn of the century, volunteers were able to work in communities across Asia, Africa, Latin America and South America. Fast forward to 2017 and the number of volunteers has grown to over 100,000 in just 25 years. 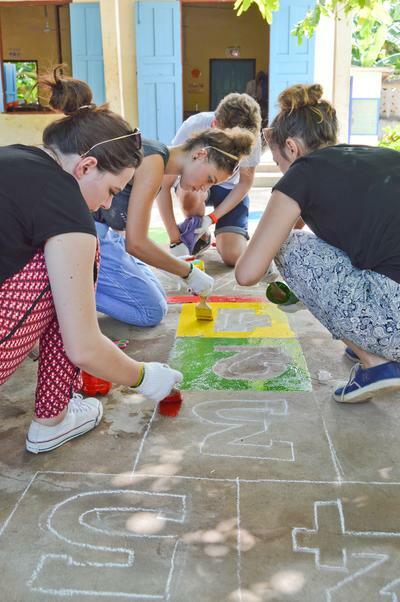 Currently, Projects Abroad employs over 600 staff, has offices in 47 countries, and each year 10,000 volunteers join our projects to work in local communities in 30 destinations. "Many people see problems in the world and they want to find a way to contribute, but they don’t know how; we have managed to provide that link to make things real and possible for people to do so, and I think that’s basically our success,” says Peter. As our volunteer network and project partnerships around the world have grown, we have been able to make an even greater impact in communities all over the globe. Building on the long-term impact and success of our Teaching and Care volunteers, we have over the years expanded to tackle wider issues that have long-term consequences for the communities where we operate. From our first Conservation Project, set up in Peru’s Amazon rainforest back in 2000, to our first Micro-finance Project, established in Senegal in 2010, we’re constantly looking for ways to connect volunteers with communities and address issues that will leave a lasting, positive impact. Developing long-term partnerships has always been at the core of how Projects Abroad develops volunteer projects, but we have also been able to assist the immediate needs of people in developing countries. In 2004, following the devastating tsunami in the Indian Ocean, our first Disaster Relief Project was launched in Sri Lanka to provide essential support. 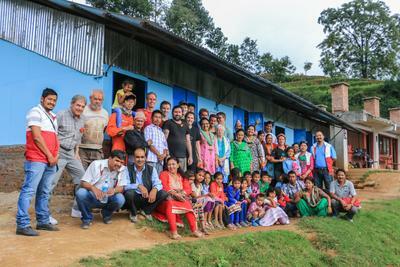 This rapid response and continued support after a natural disaster was repeated when Typhoon Haiyan struck the Philippines in 2014, and again after the devastating earthquakes in Nepal in 2015. We continue to work in these communities to this day, providing support and development assistance long after they’ve stopped making headline news. None of this would have been possible without the incredible commitment and support from our volunteers. Coming from all walks of life, from high school students, to retirees to experienced professionals, each has left a lasting impact on communities across the globe. The volunteer journey often comes with unexpected and life-altering experiences. “I spent four amazing months in Nepal on the Conservation and Environment Project, in the Annapurna Conservation Area. 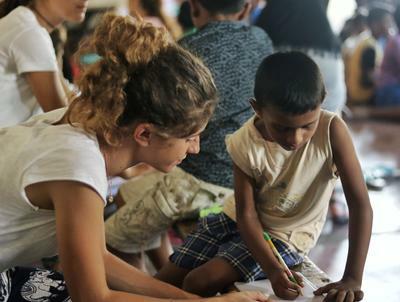 My time there was genuinely both life-changing and life-affirming and I can’t recommend volunteering abroad enough for the incredible experiences it’s bound to bring,” says Projects Abroad Nepal alumnus Miriam Lord, from the United Kingdom. “Volunteering gave me a glimpse of what it is like to give without expecting anything in return, and this is something I observed everywhere in Nepali culture,” she says. In August 2016, Projects Abroad appointed Greg Thomson as CEO, who took over from our founder, Peter Slowe. Greg started with Projects Abroad as a volunteer teaching English in China for six months in 1999; he began working for Projects Abroad in 2000, first based in India as a Volunteer Coordinator and then in Thailand as an Assistant Manager. He continued to grow with the organization – after joining the UK office as a Volunteer Advisor, he took on various functions in operations and marketing. Greg was Projects Abroad’s Operations Director from 2009 until being appointed CEO last year. Greg’s ambitious vision is building on more than two decades of hard work and dedication from the 100,000 volunteers who have made the commitment to volunteers abroad. In recent years, Projects Abroad has been fortunate to be able to showcase the impact made by volunteers in our annual Global Impact Reports. 2017 will see the launch of our Global Impact Database, which will be pull all the data and research from our projects around the world into a single resource to track, monitor and share the amazing long-term impact that international volunteers make. With the significant legacy of our past volunteers, the ongoing commitment from our current volunteers, staff and project partners, the future of international volunteering and the impact it can make around the world is looking bright. Be part of our journey and our next 25 years of making a difference around the world. Find out how you can join our community of volunteers and be part of our projects in 30 destinations around the world.